WHAT IS YOUR CODE AND WHAT DOES IT DO? By signing up for our rep program you receive a unique coupon code that you can share with your friends and they can use to save money at checkout on our website. When they use your coupon code our software we have developed automatically tracks the use of the code and issues you a percentage of the sale. On the sign up page your “username” will also represent your coupon code. WHY SHARE YOUR CODE? When you share your code you offer your friends the gift of savings and when they use your code you get paid. WHERE TO SHARE YOUR CODE? Your Instagram bio, Twitter and Facebook about page are a great place to start. Other social media you participate in like: Soundcloud, Linked in, Pinterest, Etsy or in person. 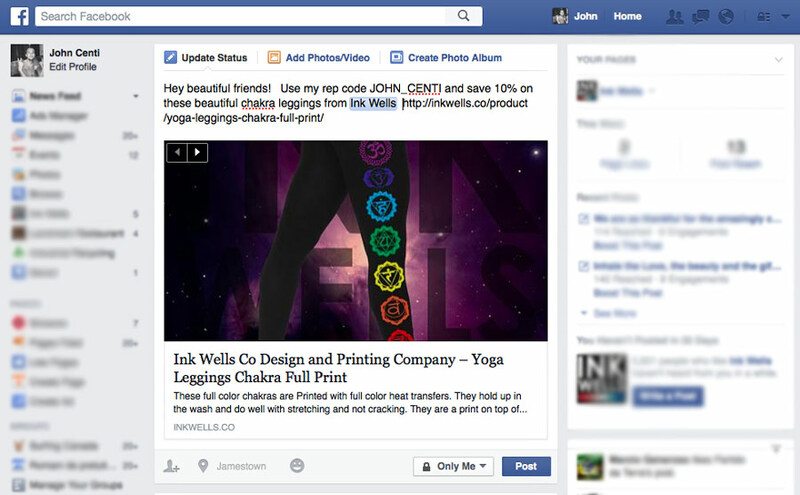 How to share your code and links on facebook. 1. Share on your facebook wall. Copy and paste the product link from our website and share as your status. Paste the link on your facebook status and send your friends a personal message. Let them know to use your rep code and that they will save money. 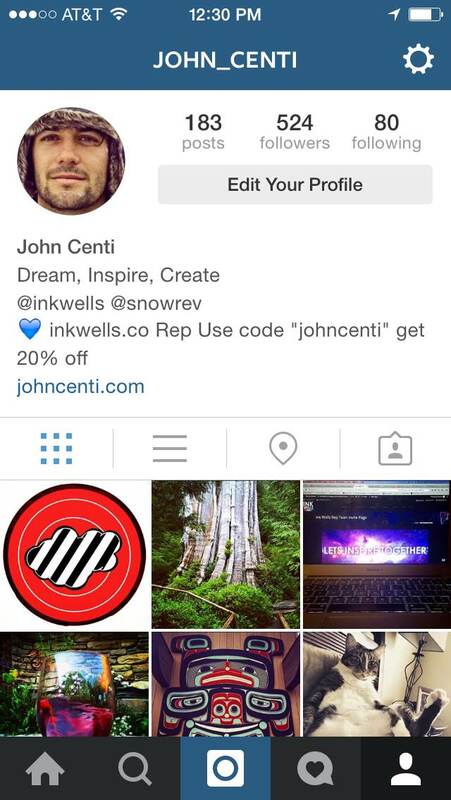 To share your code on instagram there are a few different ways to find success sharing with your instagram network. 1. Share your code in your profile. Short and sweet is better for instagram. 3. Share one of our creatives in a post with your personal message. To share your code on twitter you can add the code a few different ways. HOW OFTEN TO SHARE YOUR CODE: Best practice is to share your code on your instagram page at all times. 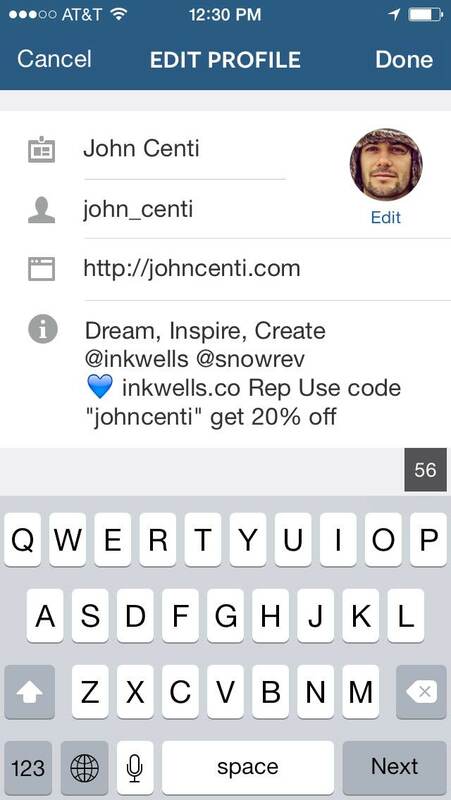 If you do not have a website you are free to list inkwells.co as your website on your social media pages. You can also create whats called an affiliate link and share the link that will also track your sales. You are paid commissions at the end of every month. You are able to request payment for commissions at any time. HOW DO I KNOW WHEN MY CODE IS USED? We have created a useful tool on our affiliates page to show you real time statistics. So when your code is used in a sale. WHAT IF AN ORDER IS CANCELLED? We ask that you do not go out and have business cards or other marketing material printed with Ink Wells on it. We are currently working on the physical rep kit but this is not quite ready. Ink Wells is a registered trademark of Ink Wells Co.